Home » News » Unibearsity Update and more in Disney Tsum Tsum Japan App! 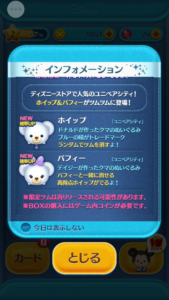 Unibearsity Update and more in Disney Tsum Tsum Japan App! Unibearsity Update in the Disney Tsum Tsum Japan App! Whip and Puffy are here! Whip clears random Tsum Tsum! Puffy also clears Tsum Tsum by changing some Tsum Tsum to Whip! These Unibearsity Tsum Tsum are helpful with the Snow Festival Event! It’s Lucky Time for Whip and Puffy until 1/13! 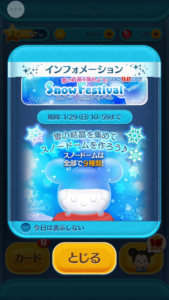 Snow Festival: Collect snow to complete snow domes. This event lasts until January 29th. Cards 1-5 are available now and cards 6-9 are available from January 19th to 29th. Collect the snowflakes that appear on the screen using bombs or skills. Small snowflakes are 3 points and large snowflakes are with 8 points. Large snowflakes can come with bonuses! Snow Festival Event in the Disney Tsum Tsum App! Previews and Release Info for the new UniBEARsity Tsum Tsum Collection! Detailed Look at the Upcoming UniBEARsity Tsum Tsum Collection and Set! Alice in Wonderland Update: Disney Tsum Tsum Japan App UniBEARsity and Big Hero 6 Update in the Disney Tsum Tsum Japan App! 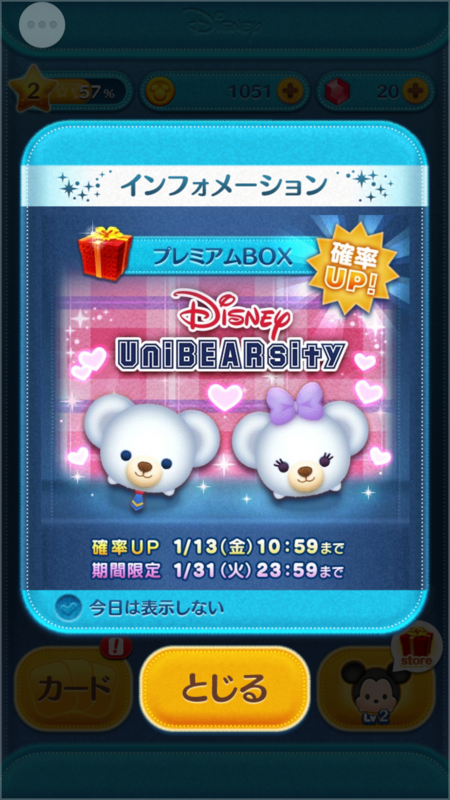 Capsule Update: UniBEARsity and more in the Disney Tsum Tsum Japan App!